How much is Bryan Konietzko Worth? 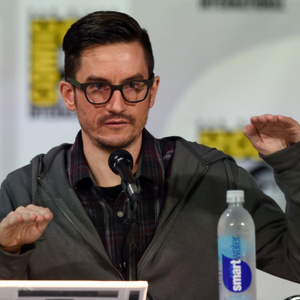 Bryan Konietzko net worth: Bryan Konietzko is an American animation director, writer, producer, and musician who has a net worth of $2 million. Bryan Konietzko was born in June 1975 and resides in Los Angeles, California. He co-created, wrote, and executive produced the animated series Avatar: The Last Airbender with Michael Dante DiMartino from 2003 to 2008. Konietzko also co-created, executive produced, and wrote the animated series The Legend of Korra from 2012 to 2014. Bryan Konietzko executive produced the 2010 film The Last Airbender. From 1999 to 2000 he did character design in the animation department for the TV series Family Guy. Konietzko also worked as a storyboard artist for the television series Invader ZIM from 2001 to 2003. He was nominated for a Primetime Emmy Award in 2007 for Avatar: The Last Airbender and for a Daytime Emmy Award in 2013 for The Legend of Korra. He graduated from the Rhode Island School of Design.